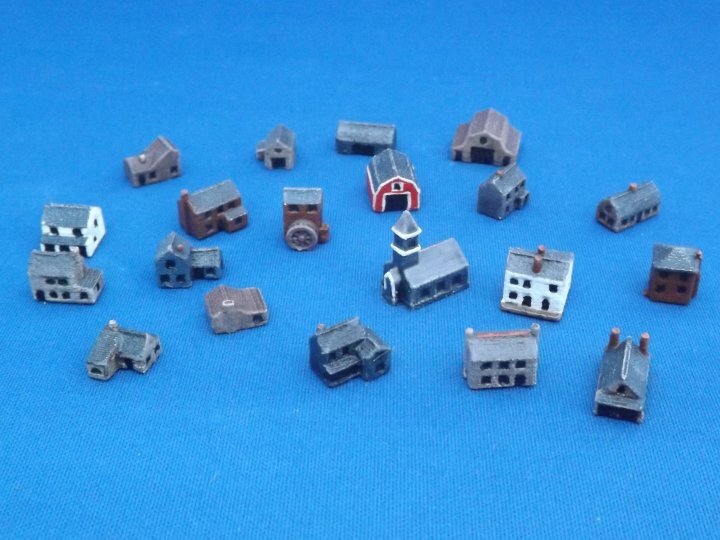 So here we have them, a set of twenty buildings, mostly rural farmhouses, barns, a water mill and church. The style of some of the buildings would suit other theatres, and you could just paint them up as brick or stone buildings and mix them with our other sets for more variety. 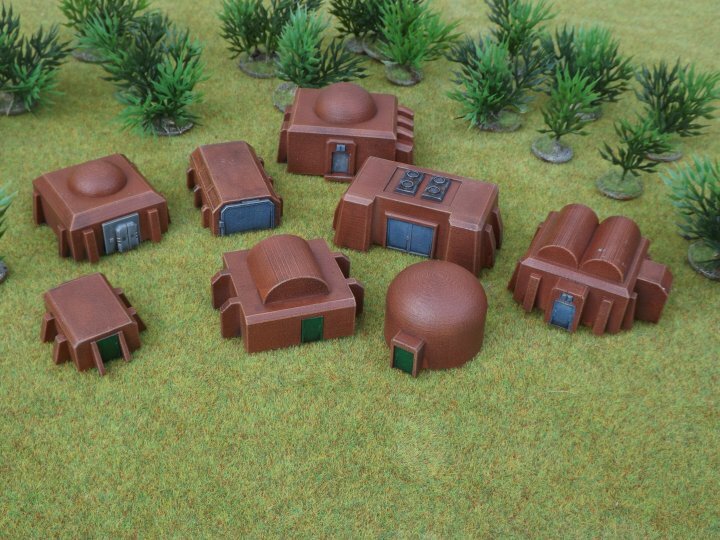 As a change from our usual output of spaceships and grav tanks, we have some new historical items in our Small Scale Scenery range. Meet Forts McRee, Moultrie and Pulaski, fine examples of coastal forts of the American Civil War, primarily of brick construction. We’ve upped the detail level a step further and both Moultrie and Pulaski come with separate tiny white metal cannons to line the upper walls (McRee’s guns were all under cover). All available from the website now, along with the guns which are available separately. 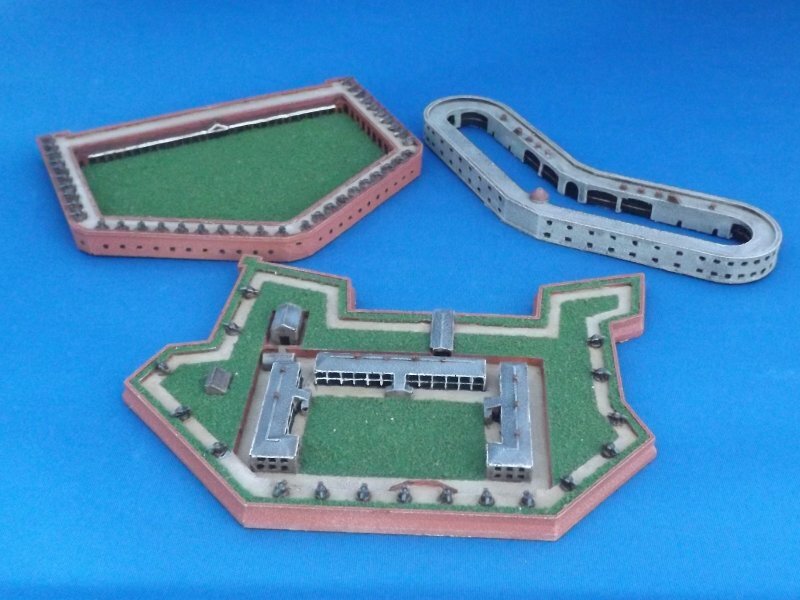 If you haven't come across it before, our Small Scale Scenery range is loosely billed as '2mm' scale. The models are all made to 1/1000th scale and will suit 2mm figures or 1/1200th aircraft and naval models. They also work well with larger scale aircraft models (we use 1/600th models with our buildings for WW2 aircraft games). The range now encompasses almost fifty sets of buildings including various types of houses, factories, farms and forts, both historical and VSF. We have two new spaceships on the website today. 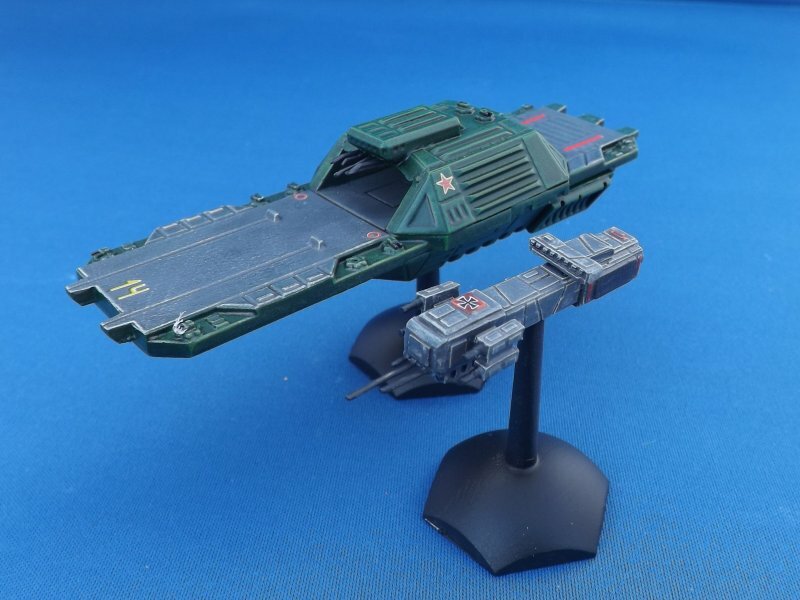 The first is a re-master of the Shanzi class fighter carrier, one of the oldest models in our range. The new version keeps the overall design of the original but with much improved styling and detail. The second model is the German Maas-class Destroyer Leader, a master that's been kicking around for a while but which we've finally got into a production mould. Both available from the website now, and the Shanzi is also available in a carrier pack with fighters and escorts. 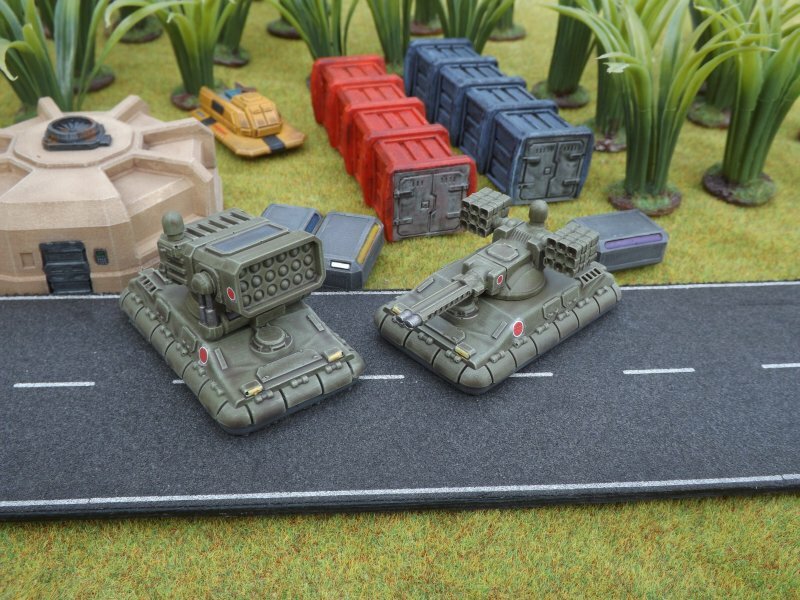 We have four new 15mm vehicles on the website, all tanks and on the lighter side. 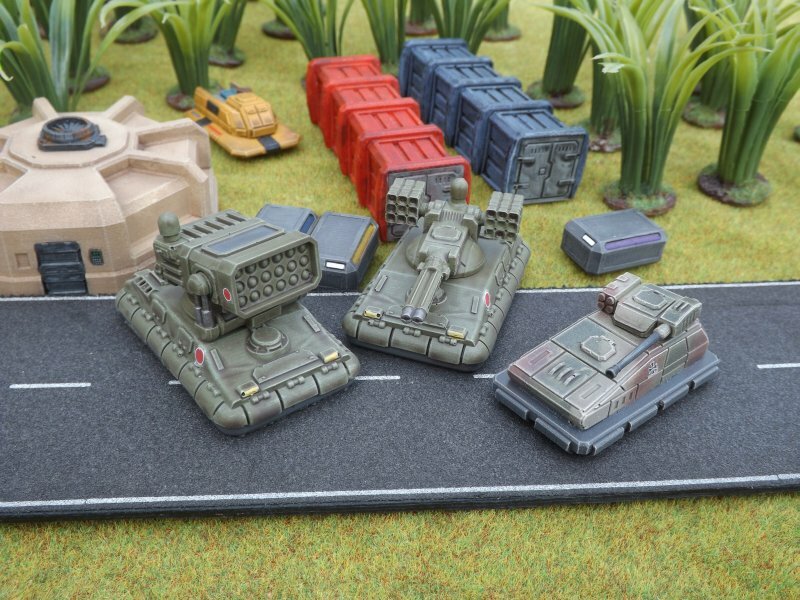 We have two more additions to the Mercenary Brigade, the Legion Missile System and Warlock Support Tank, both based on the Shaman chassis. 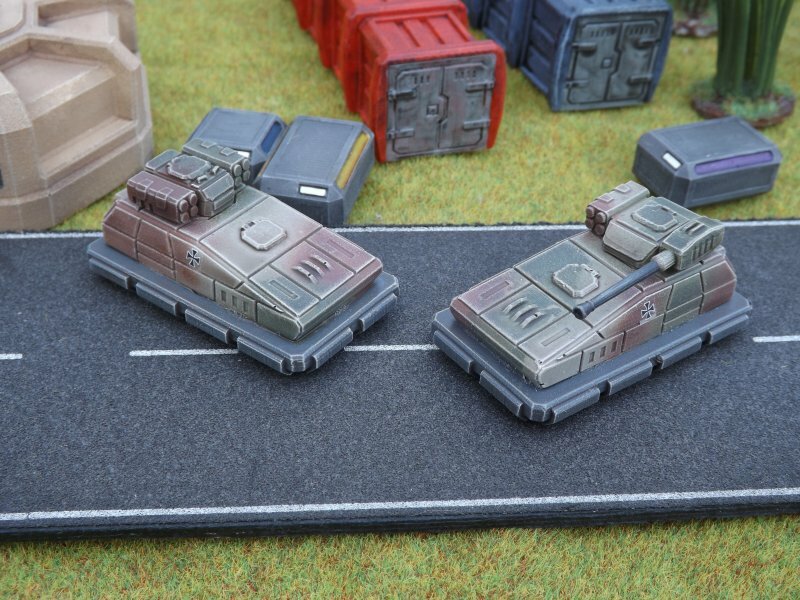 The Germans get a remastered version of the Baldur light tank, available either with autocannon or missile turrets. The Legion and Warlock turrets are both available as options for the Mercenary Turret Bunker. Towards the end of last year, we had a number of enquiries about the suitability of our 6mm and 15mm buildings for use with 10mm models. Given that neither really suit that scale, being too small and too large respectively, we figured that the only way to go was to rescale some of our existing models to 10mm and release them to see how much demand is out there. The initial batch of six codes is now on our website, with more to follow in the near future.